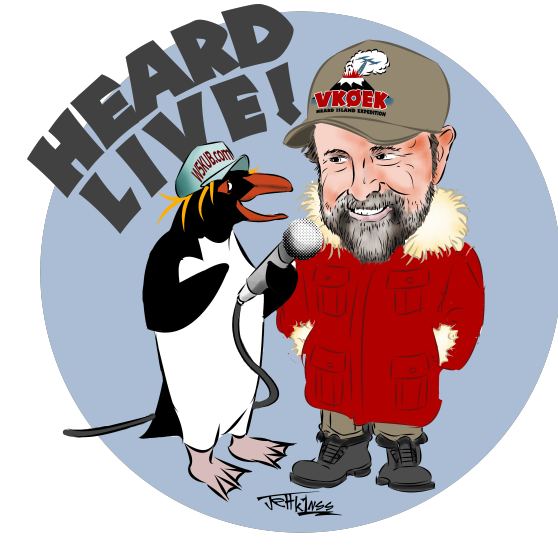 Our live Amateur Radio Roundtable show Tuesday May 31 will feature Dr. Robert Schmieder, KK6EK, the leader of the Heard Island DXpedition. Tune in to hear everything from the travel, terrible wx with winds up to 70 MPH, propagation, contacts, the team, scientific experiments, and much much more. Phone lines will be open as well as the chat room. Watch onW5KUB.COM at 8:00 PMCT or (o200 UTC Wed) This show is also simulcast on international shortwave radio station WBCQ on 5130 Khz. Watch Amateur Radio Roundtable on W5KUB.com.every Tuesday night at 8:00 PM Central. (0200 UTC Wed) This show is also simulcast on shortwave radio station WBCQ on 5130 Khz.